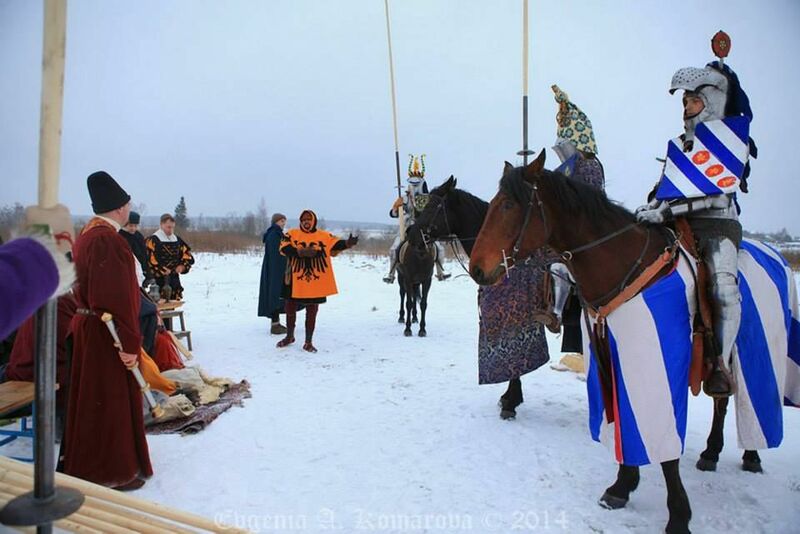 Christmas Tournament at Khrabrovo is an annual event, which opens the tournament season in Russia. 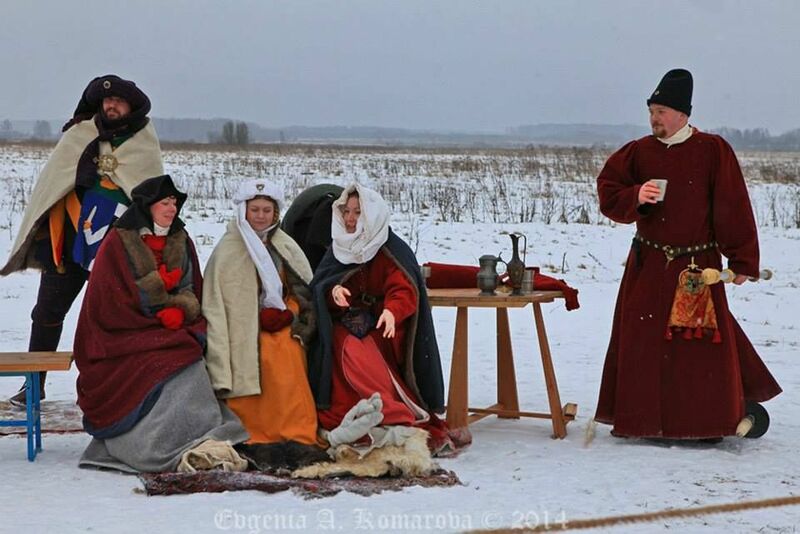 It is related to the Russian Orthodox (and as well – medieval European) date of Christmas. This year we held our fourth event. As is traditional, we ran our tournament at Khrabrovo Horse Center (130 km from Moscow), which serves as stables for our war horses. Christmas Tournament is a private event which we run ourselves, trying to reach the highest possible authenticity level. 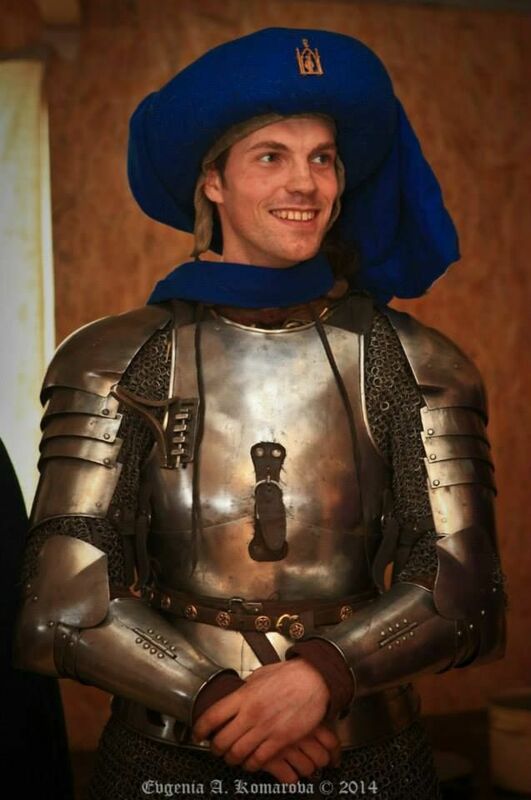 We make high demands regarding costume and each knight’s equipment, as well as to appropriate ceremonies, qualified judgment and many other important issues. 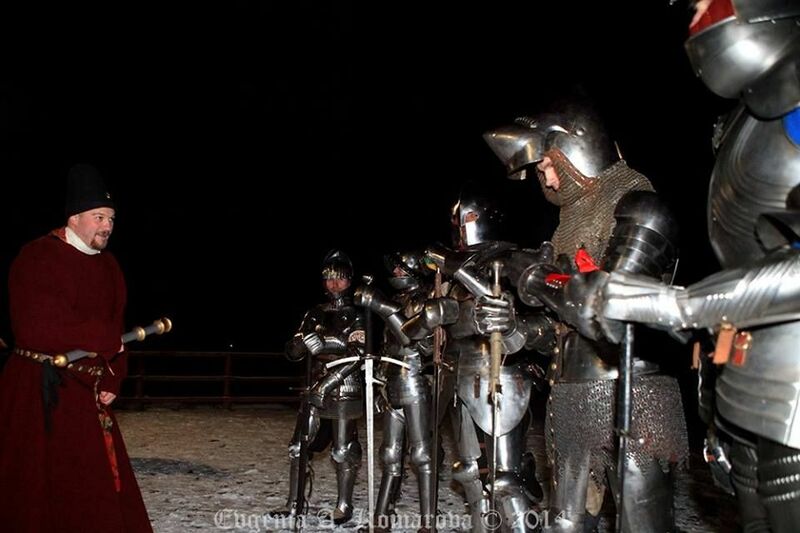 Christmas Tournament is divided into 3 parts: Jousting (solid lance), Foot tournament (two-handed swords and poleaxes) and Ceremonial feast. Three knights participated in jousting this year: Dmitry “Dietmar” Savchenko, Yuri “Humphry” Bogunov and Sergey “Moros” Zhuravlev. Three more knights joined the foot tournament. Judgment was based on the following: In jousting, broken lances for each knight were counted (and, of course, knocking out of the saddle). In foot tournament, in each fight winner was declared after 10 successful hits or knocking opponent out to the ground. The scores for all the matches were decided by judges, headed by Marshal Sergey “Tankred” Vislenev and Herald Rafael “Ralph” Gukasov, who then reported the results to the Court of the Ladies. The final decision at the tournament belonged to the Court of the Ladies, who were guided not only by the Marshal’s scores, but also by each knight’s courtesy at field and feast. 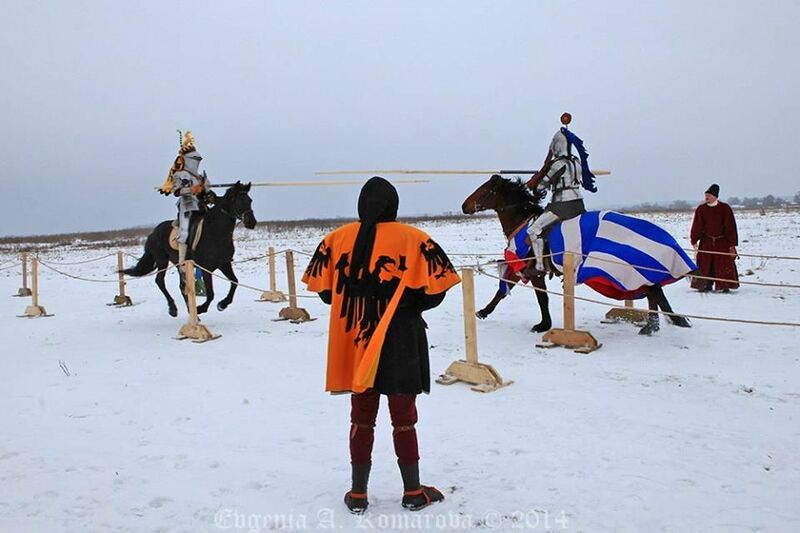 At jousting: The first match consisted of four courses(passes) between Dmitry “Dietmar” Savchenko and Sergey “Moros” Zhuravlev in which 4 lances were broken. In the fourth course, Dietmar got a straight hit to the right hand. His mitten gauntlet did not sustain and his forefinger was broken. In the second match, during the second course, Yuri “Humphry” Bogunov knocked Sergey “Moros” Zhuravlev out of the saddle. In those two courses 4 lances were broken. 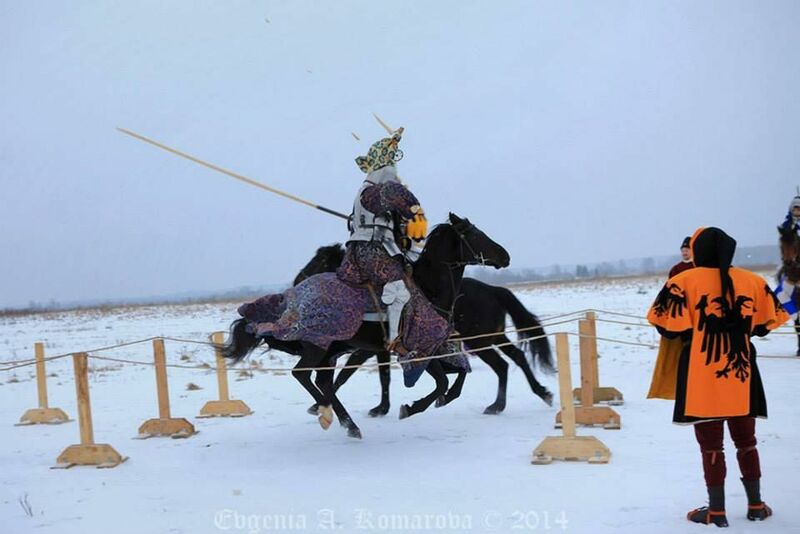 As a result, it was declared that Yuri “Humphry” Bogunov won the short, but intense jousting competition. 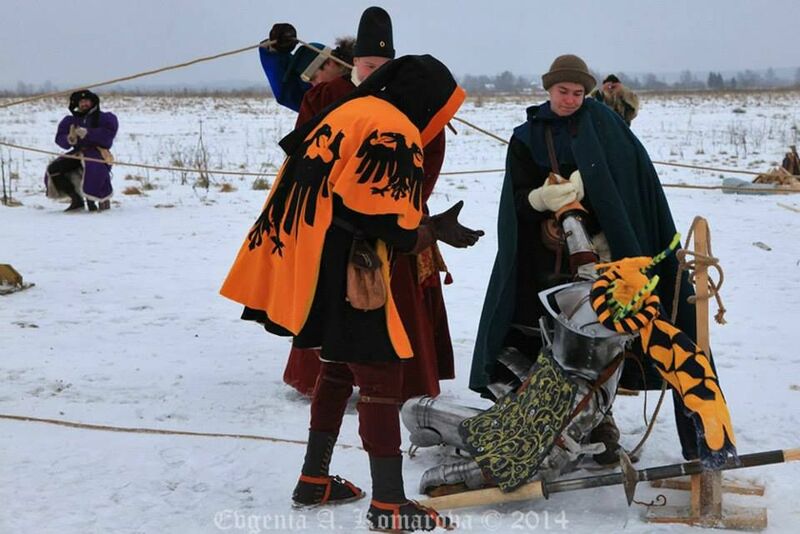 At foot competition, each knight fought each other, and so without wounded Dietmar, each knight fought 4 times. All the participants fought with dignity, but the strongest was Leonid “Leon” Manevich, who won all his fights. 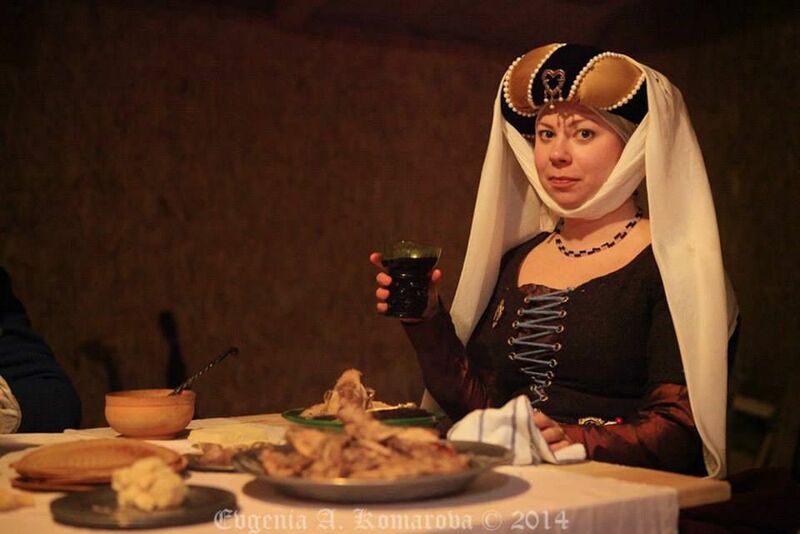 After the competition, all the participants were invited to the feast, where our ladies could have a look on each knight’s good manners. 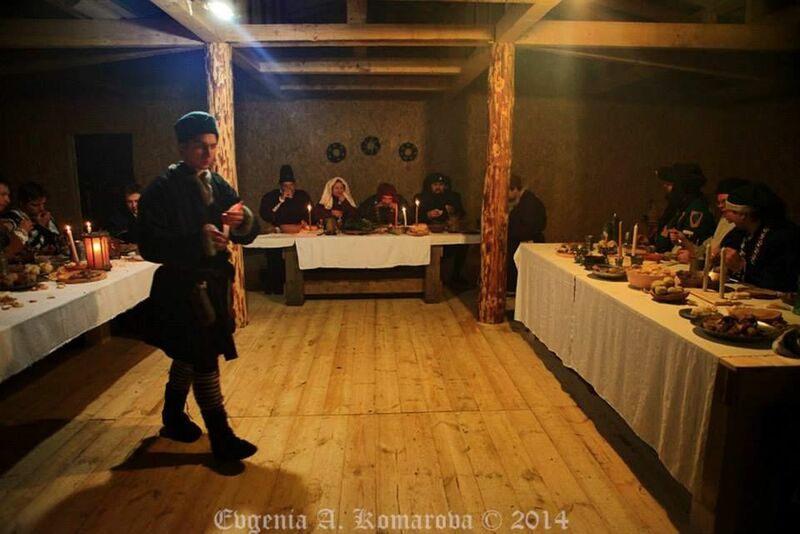 The next day, Yuri "Humphry" Bogunov, who fought the best during the tournament and revealed his courtesy and manners during the feast, was declared the Champion of the Tournament. Edited to correct the spelling of Yuri's name, which was previously spelled 'Jury'.